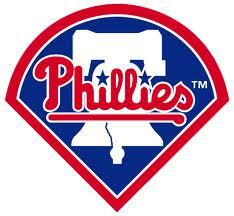 Spring Training is underway, which means another season of Phillies baseball will soon be upon us. Join the National Foundation for Celiac Awareness at Citizens Bank Park on Friday, July 20, when the Phillies host the San Francisco Giants at 7:05 p.m. Celiac Awareness Night will feature an expanded selection of gluten-free foods. At last year's event, cheesesteaks and Seasons Pizza were among the favorites. Net proceeds from tickets sold through this offer will go to support raising celiac awareness. To order your tickets, click on this link and enter the promotion code CELIAC. "Rita's of Abington and Glenside will open this Friday, on February 24th. We thank you for your past business and look forward to serving you Ice, Custard and Happiness all season long! And wait til you check out all our new flavors and products we have for you. New Flavors Now Available: Chocolate Chip Cheesecake, Black Cherry Cheesecake, Root Beer Float, Strawberry Colada, Sugar Free Mint Choc. Coming Soon: Red Velvet Cake, Peanut Butter & Jelly, Margarita, Sour Patch Kids Red, Oatmeal Raisin Cookie"
Ugh! Cake and cookie flavors to worry about! Do these really have cake and cookie in them, or just flavorings? Will they run gluten through their machines one day, and then call the next flavor "gluten-free"? Michael, please do the celiac community a favor and get answers for all of us - your voice gets listened to!